Book 1 – What Really Happened? The Grenada Revolution: What Really Happened? This is the companion volume to Volume 1, The Grenada Revolution: What Really Happened? 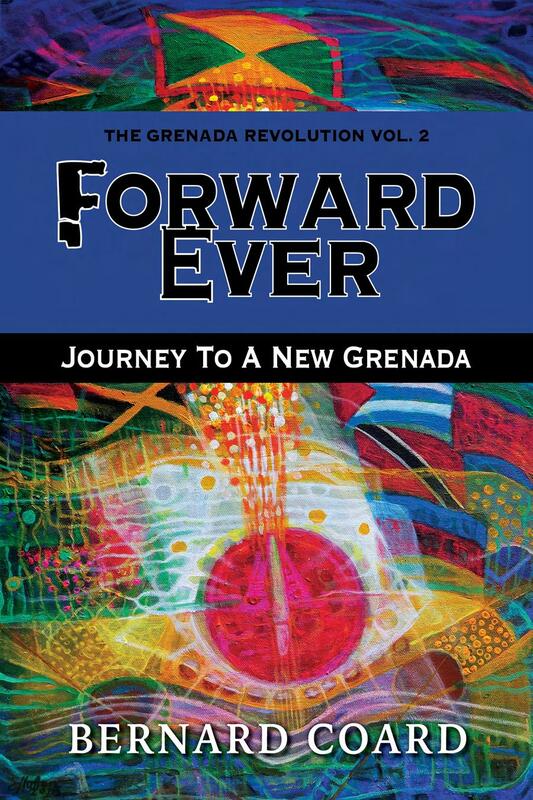 This volume, Forward Ever: Journey to a New Grenada , captures the excitement, passion, and humour of the Revolution’s first days. It also details the creative solutions found by the Revolution’s leadership to the many efforts made to strangle its economy and government. Compellingly recounted are exciting victories over the United States as it vigorously opposed the People’s Revolutionary Government – attempting to block fundraising for financing its international airport; seeking to prevent the PRG receiving development funds from the IMF, World Bank, and other sources; and unleashing the CIA to take violent counter revolutionary actions inside Grenada, which led to several deaths and major injuries. There are gripping chapters on the first visit of the US ambassador to Grenada less than four weeks into the Revolution, and the threats he issues; and on the cloak-and-dagger nature of the near-simultaneous arrival of the Cuban ambassador, with military advisers. The author’s first three meetings with Fidel Castro – including a three-hour, oral “test” which Fidel administers at their second meeting – are fascinatingly recounted, as is the 17-hour journey that they share from Havana to Moscow – Fidel speaking exclusively English throughout – for the funeral of Soviet leader, Leonid Brezhnev in 1982. The transformative effect of the Revolution’s many social and economic programmes and achievements are engagingly recalled, as are the mistakes which played a critical role in the final outcome of the process. This volume ends with the author’s insightful analysis and conclusions on the overall significance of the Revolution to Grenadian, Caribbean, and progressive people everywhere.